“I want you to know exactly where I am. 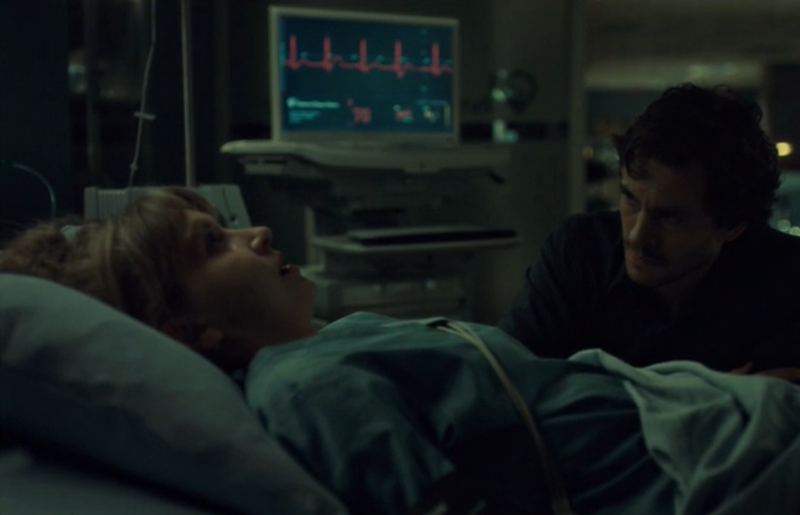 That way, you can always find me.” The words of Hannibal (Mads Mikkelsen) resonate through Will Graham (Hugh Dancy). 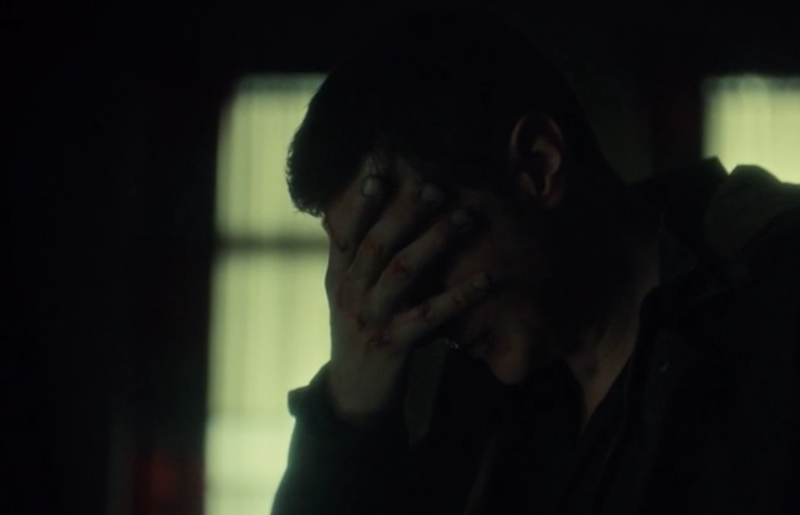 He’d only just told the bad doctor how he wished not to know where Hannibal was, so that he couldn’t find him. 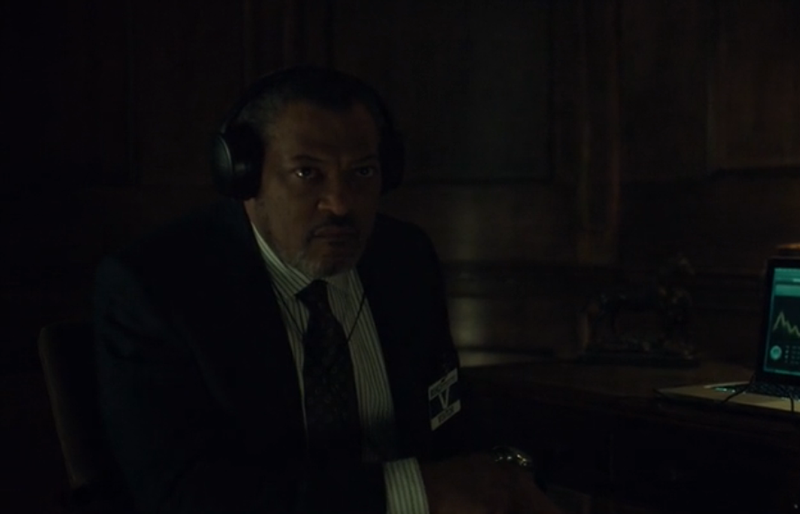 Now, with Hannibal turning himself over to Jack Crawford (Laurence Fishburne) and the FBI, we turn over to the part of Thomas Harris’ books where the cannibalistic doctor is behind bars, looking at the world around him, as Graham will eventually come to look for his help. 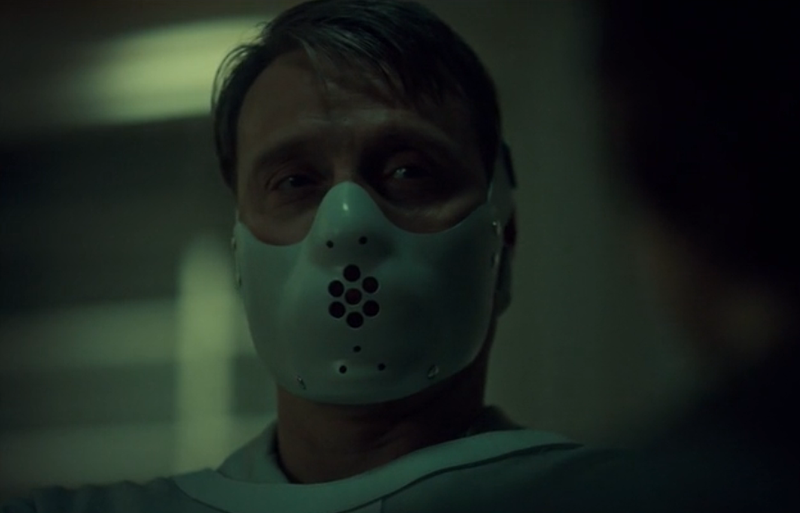 Why would he need Lecter’s help? 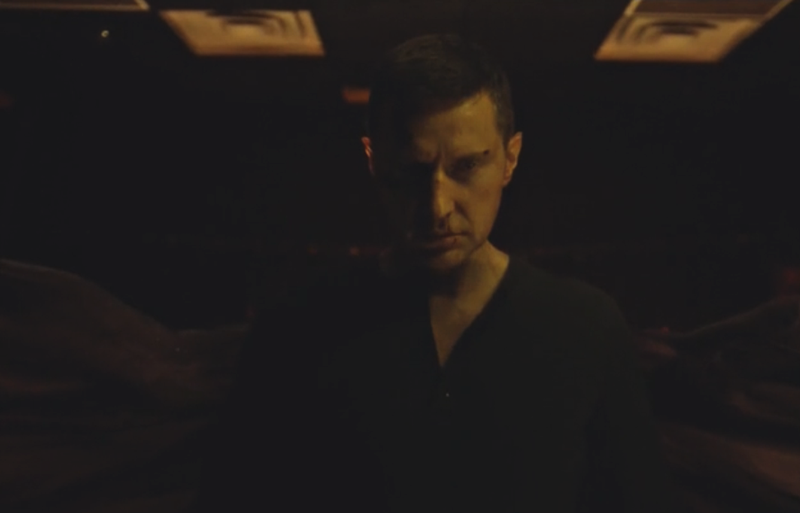 Introducing – Francis Dolarhyde (Richard Armitage). 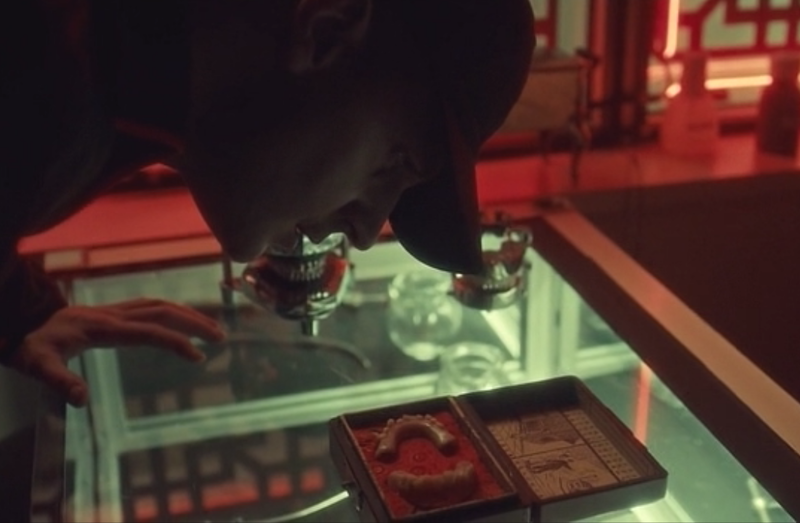 We’ve finally come to the Red Dragon storyline in all its glory; that is, the Tooth Fairy has finally arrived. 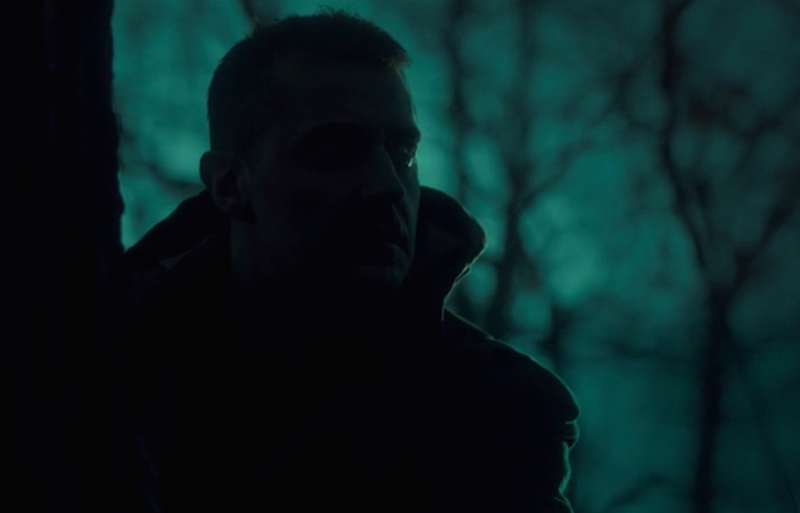 The introduction to Dolarhyde is unsettling. 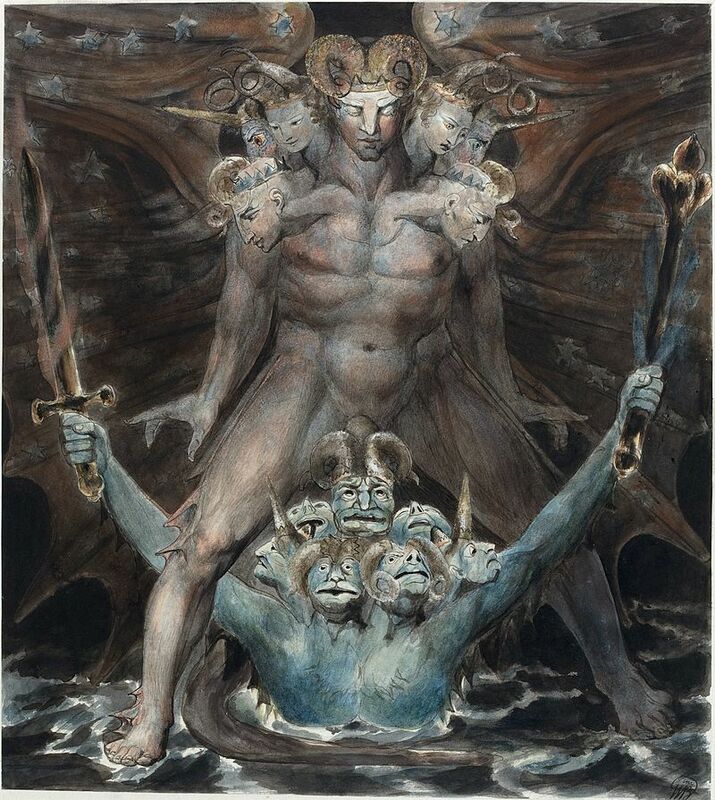 He almost orgasms while looking at a magazine with William Blake paintings in it (namely The Great Red Dragon and the Woman Clothed in Sun). He works out in excruciating form. He gets tattooed, and Francis even looks for a set of nasty old false teeth; chomp chomp. 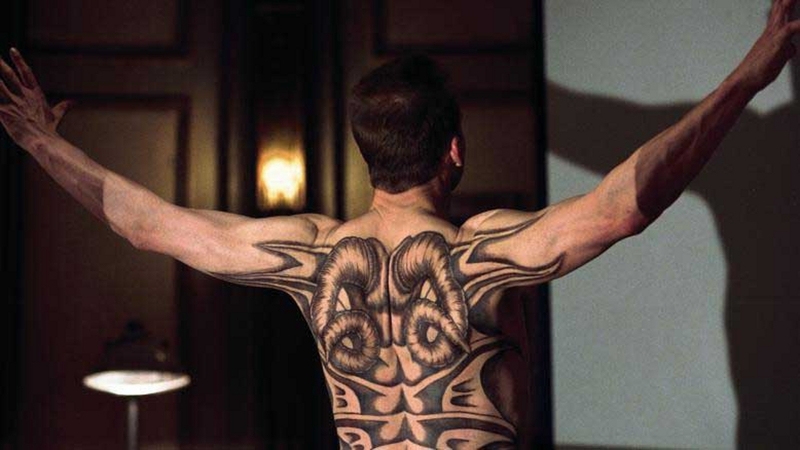 Then, he bows in his attic in front of a Blake painting, the tattoo of the Great Red Dragon on his back. Quite a creepy opening for this episode. 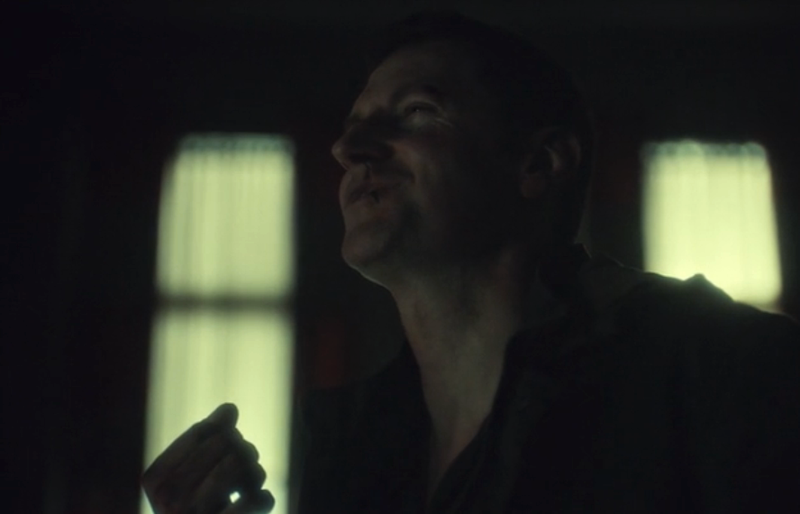 I think that the end of this season, with all the Tooth Fairy/Francis Dolarhyde business, will go out with a huge bang. 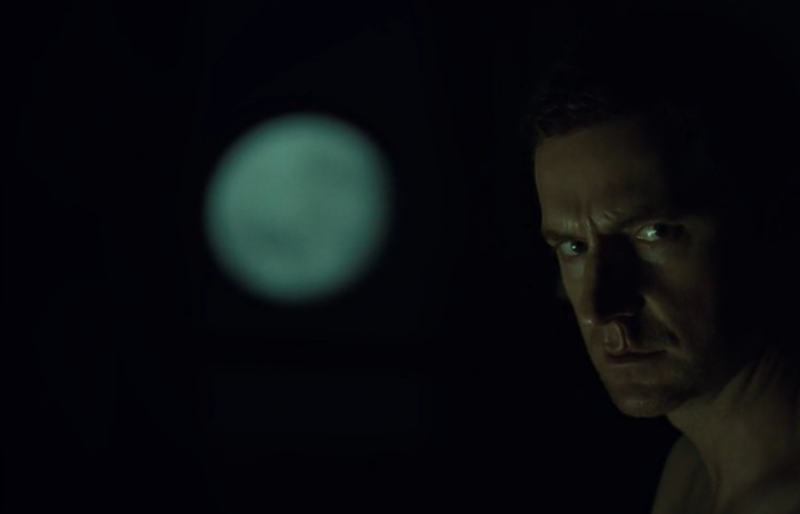 There’s so much creepiness happening with Armitage portraying Dolarhyde. This guy is incredible! So much of that character involves the actor being alone, wrestling with his inner self that’s busting out. 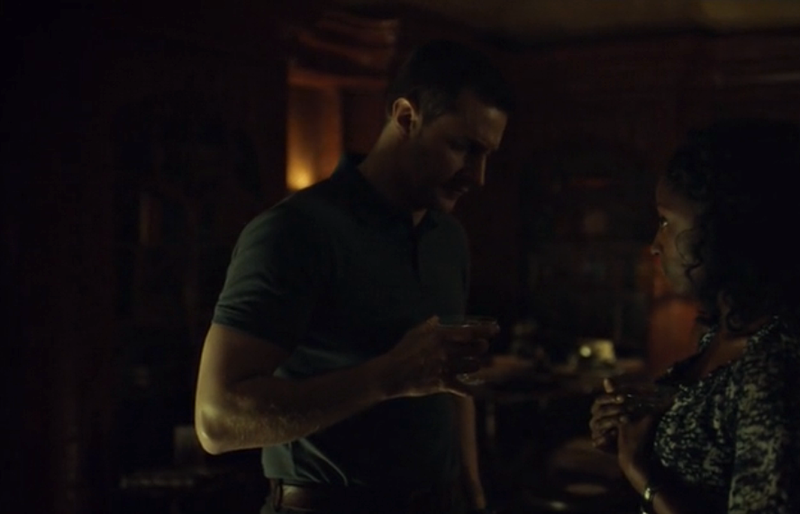 The visuals that Hannibal as a show has brought really serve the Dolarhyde story well; some excellent shots including shattered glass, the moon. 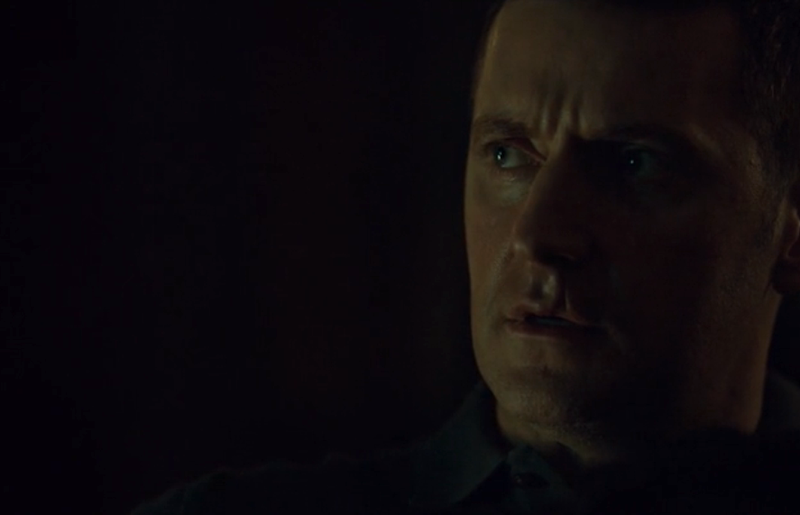 I anticipate the Dolarhyde portion of this season will go off well, episode after episode. 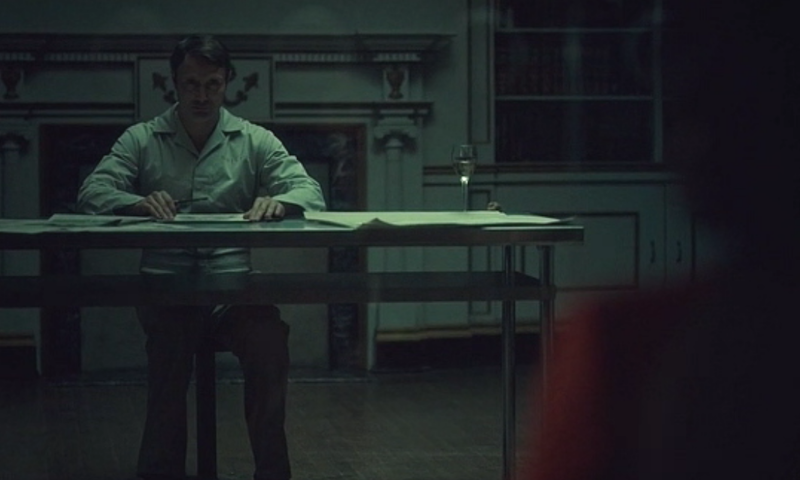 Now, Hannibal is in his memory palace. He sits and listens to a young boy sing a hymn, presumably in one of the Italian churches he admires so much. 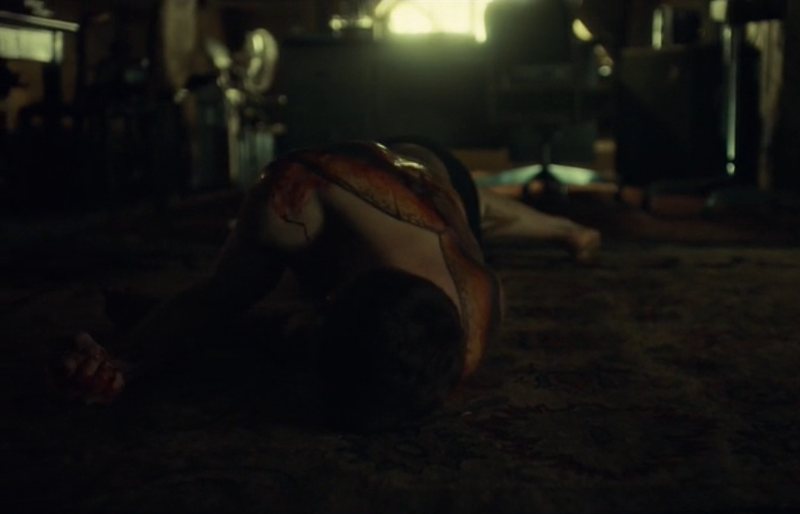 All the while, in reality, Hannibal is cuffed to the floor, chained up wherever he goes, and his DNA samples are being taken. 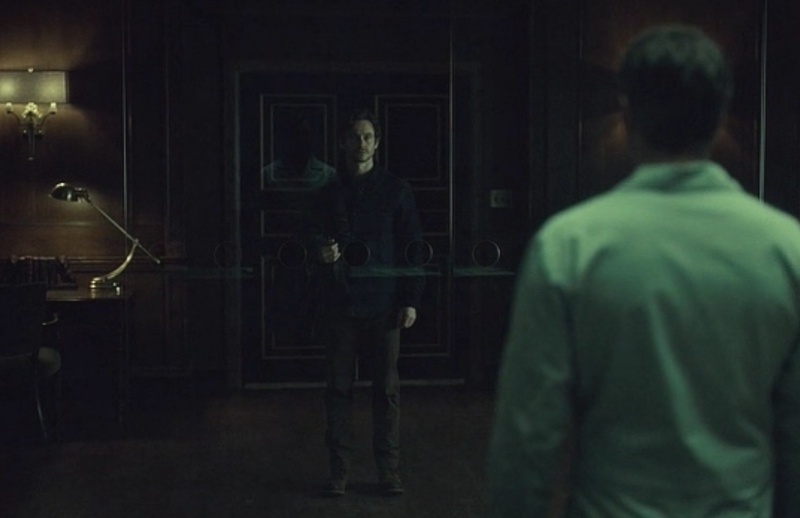 Finally, Hannibal stands in a big cell with clear glass. BUT WAIT – TIME JUMP! Three years have passed. Hannibal is having a chat with Alana Bloom (Caroline Dhavernas). He envisions it as another chat in his grand old office. However, he’s behind bars and wearing a jumpsuit. That being said, Hannibal does seem to have garnered a bit of privilege; no doubt he offered information which lead to some sort of deal being struck. He’s able to have a bit of decent food and drink, some books and such. 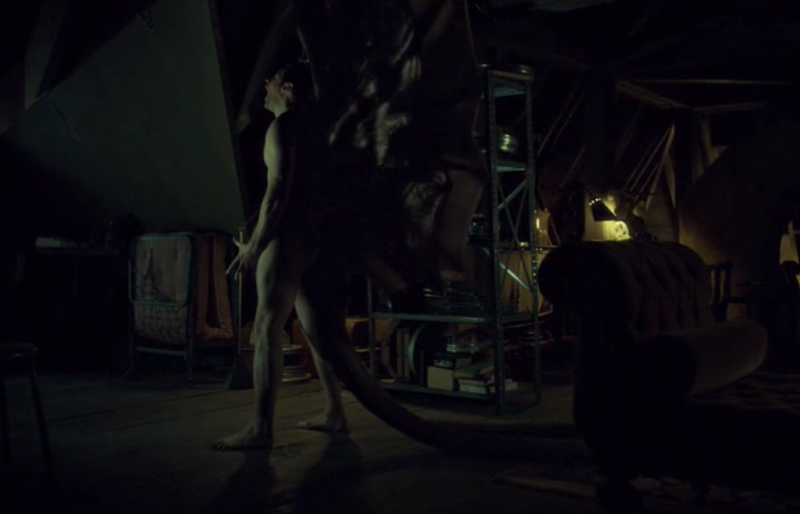 “Congratulations, Hannibal – you’re officially insane,” Alan calmly tells him in a matter-of-fact tone. Even with the perks, he’s still a mad cannibal doctor. Splendid scene between Hannibal and Dr. Frederick Chilton (Raúl Esparza). 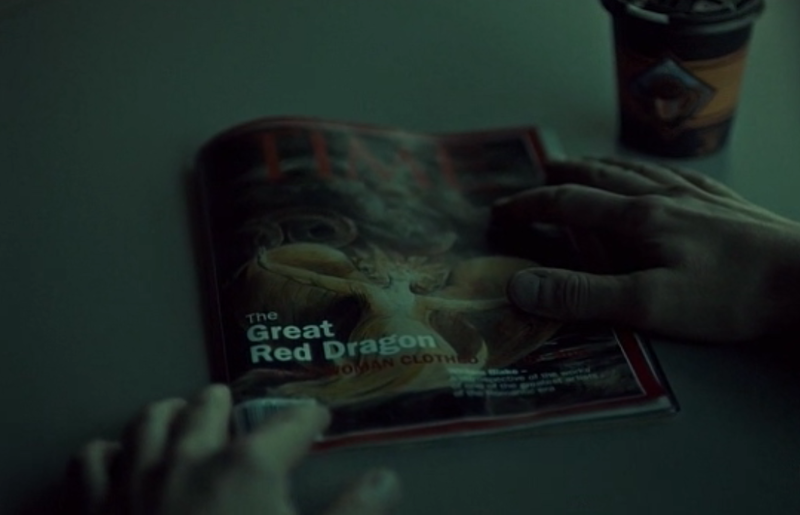 They eat a dessert which Hannibal once made for him, but with cow’s blood “only in the derogatory sense” he tells Chilton. 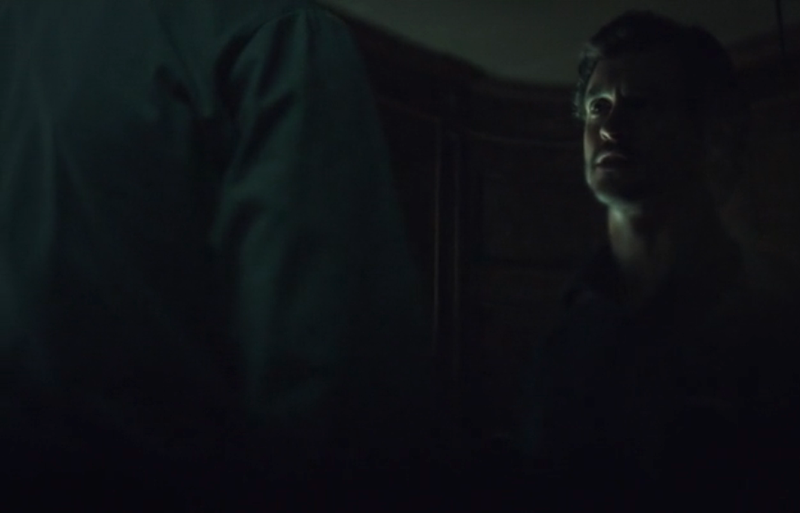 What I love about this scene is how Chilton basically taunts Hannibal with the idea of the Tooth Fairy; you can just about feel Hannibal boil with jealousy, wishing he could still be out indulging his violent, nasty little pleasures. Part of my love for Hannibal as a television show is how Bryan Fuller keeps everything recognizable to readers, yet fresh all the same. There are twists and turns that I understand as a reader/fan of the Harris novels, however, the way Fuller brings them in and twists them in his own right, switching up characters and certain events from the books (as well as their film incarnations); it really works magically. That’s how I feel, anyways. Plus, the visual nature of the show really works with so many of the themes going on. Added to the fact it’s just incredible to watch and look at. I find it so invigorating not to have every single little bit of character/story given up through dialogue. We get so much via visuals that I think it’s part of why NBC cancelled it, and part of why a lot of people seem to trash it. They don’t spoon feed everything to the viewer. Sometimes it may actually benefit for people to have read the books and seen all the movies, more than once even. Because there are bits of character (particularly I think of Mason Verger who was explored but only partly in the series) which come out that aren’t written blatantly for us through the script and dialogue. 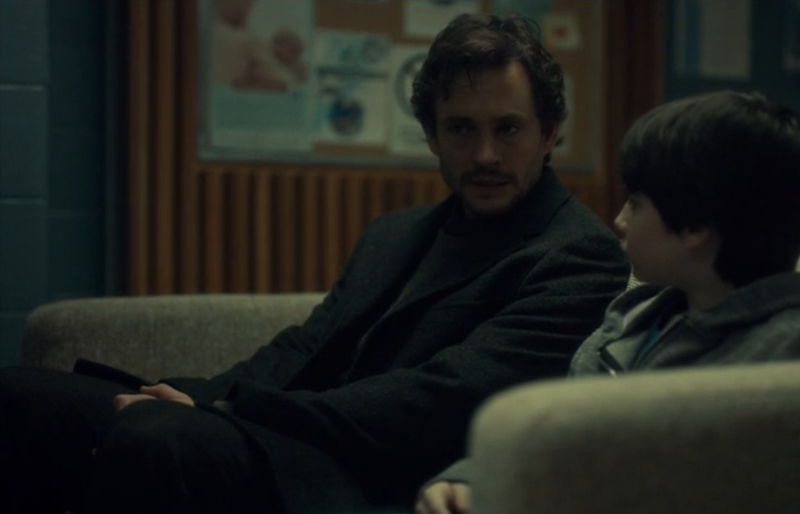 Will Graham is a ways down the road now, with a wife and a boy he’s adopted as his own. Things seem great, only Jack shows up needing help with the new Tooth Fairy murderer out there killing families under the moon. Graham reluctantly goes along to help, mostly because his wife Molly (Nina Arianda) insists due to the fact he would have done the right thing, and she worries that this man is killing whole families. “If I go, I’ll be different when I get back,” Will tells her. 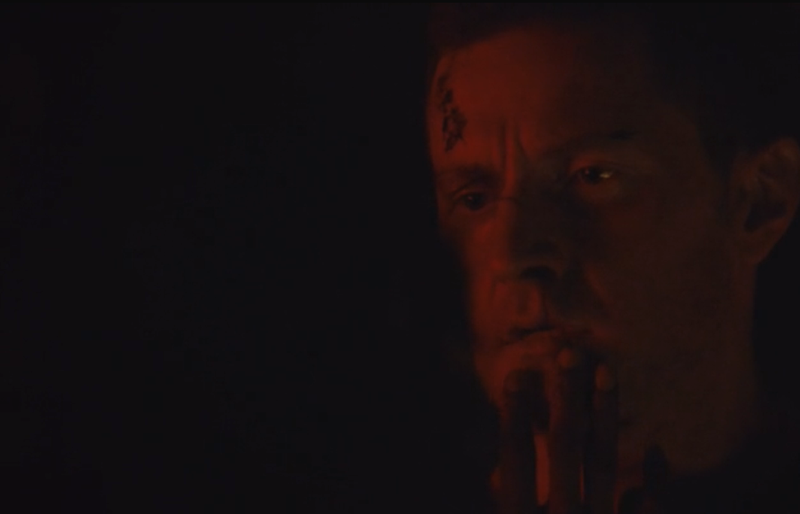 So we’re seeing a different side to Will now, the part that really began in Harris’ Red Dragon. Will has been scarred by Garrett Jacob Hobbs, he has been scarred even deeper by Hannibal Lecter. 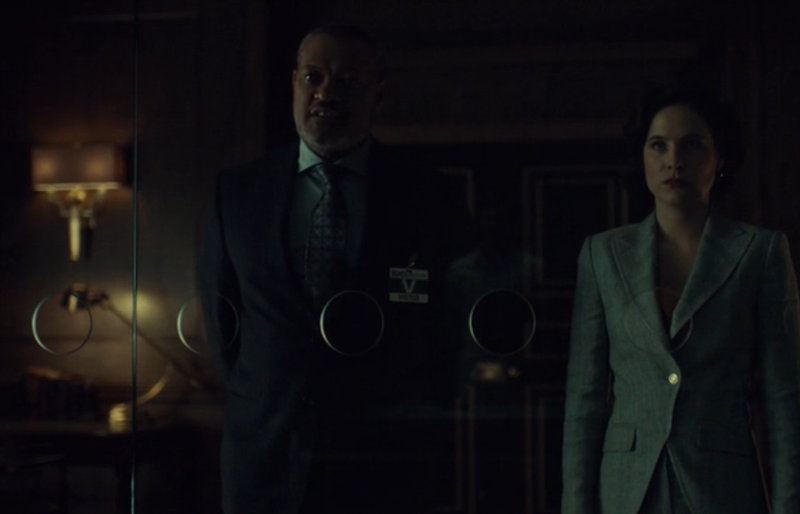 Now, as Jack comes knocking, we can see that at least partly, certainly never fully, Will has let go of that side of himself; he has tried to let go of the hold Hannibal had over him. He knows that going back to the what he does best will cause problems, but ultimately also understands he might be the best man to bring down a killer such as the Tooth Fairy. 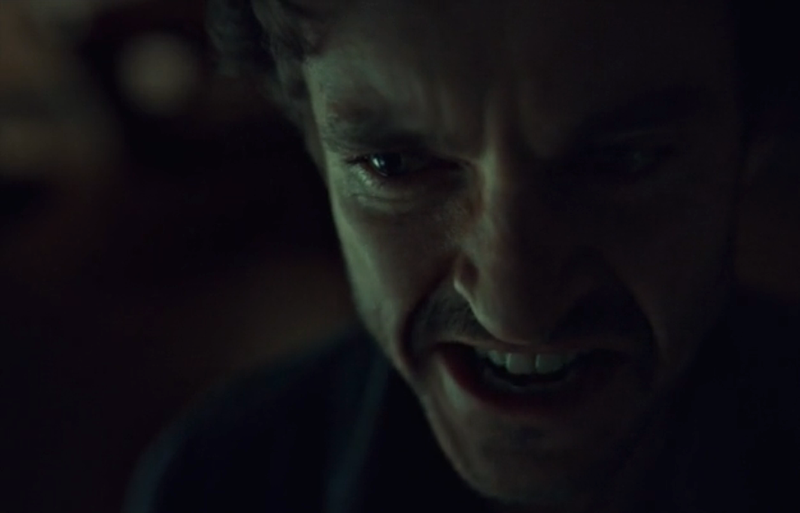 Watching Will Graham walk around inside the latest crime scene, courtesy of the Tooth Fairy, is a spectacularly chilling ordeal. It rings very much close to the Michael Mann-directed Manhunter scenes with William Petersen; there’s a raw, subdued quality about Mann’s scenes that I think really come through here. Not only that, Fuller shows us how Will is not coping well with having to go back into this mode of thinking. 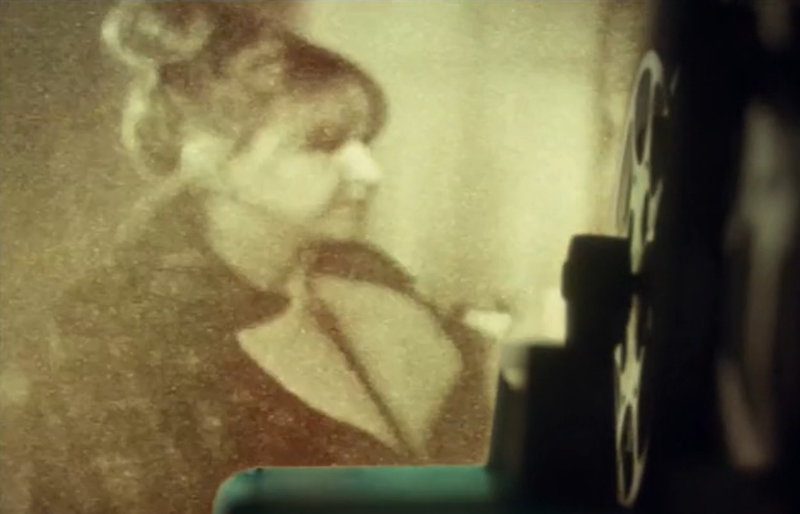 Before he is able to see the design of this killer, Will almost hyperventilates before going into GrahamVision. It’s a great, disturbing scene. 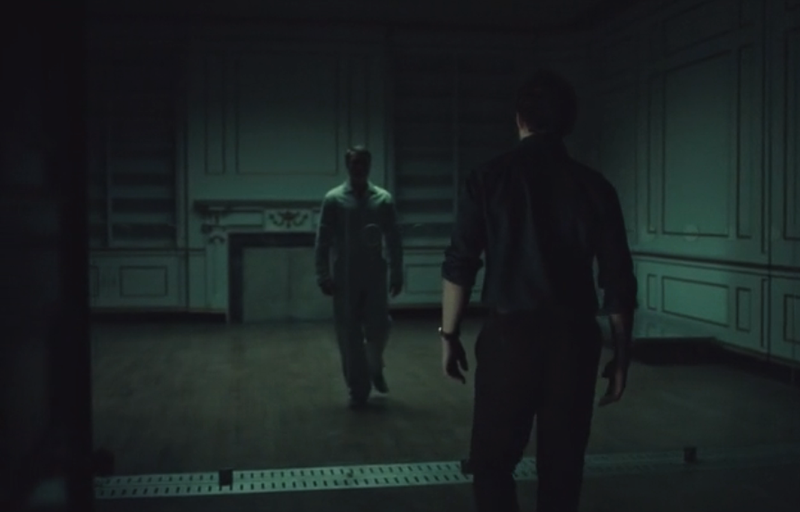 You can feel Will’s hesitation, his reluctance at having to go back into his own twisted mind to capture the thinking of another, much more violently twisted mind. 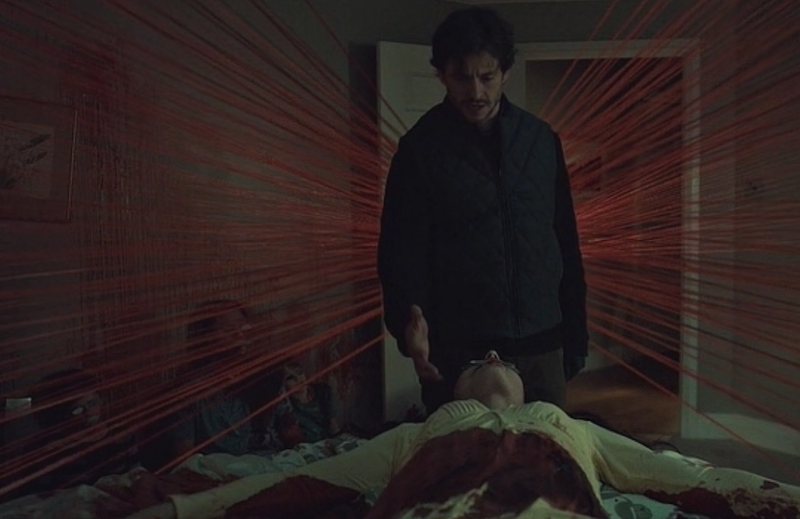 Fuller knows what he’s doing, and I continue to believe that, despite my fondness for Petersen in Manhunter, there is no doubt in my mind that Hugh Dancy is the ultimate, definitive portrayal of Will Graham. Not only does TV allow for the ability to stretch out the character, really get into the meat of his development, but Graham simply embodies everything I think Graham is about; there’s that loner-ish presence, his nearly autistic spectrum attitude at times, and the PTSD of his work truly comes through, especially at this point in the series. 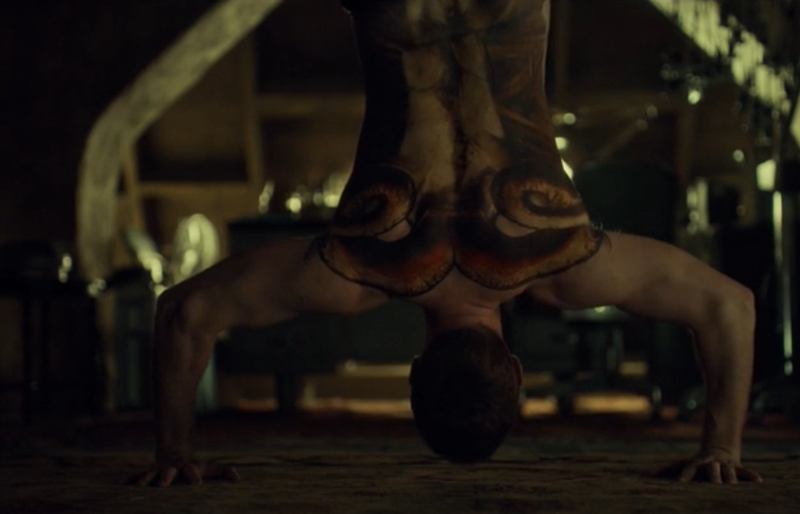 There’s one amazing moment as Will proclaims “This is my design” where he represents perfectly two symbols from the Harris universe: the wings of the Great Red Dragon and the wings of the blood eagle. 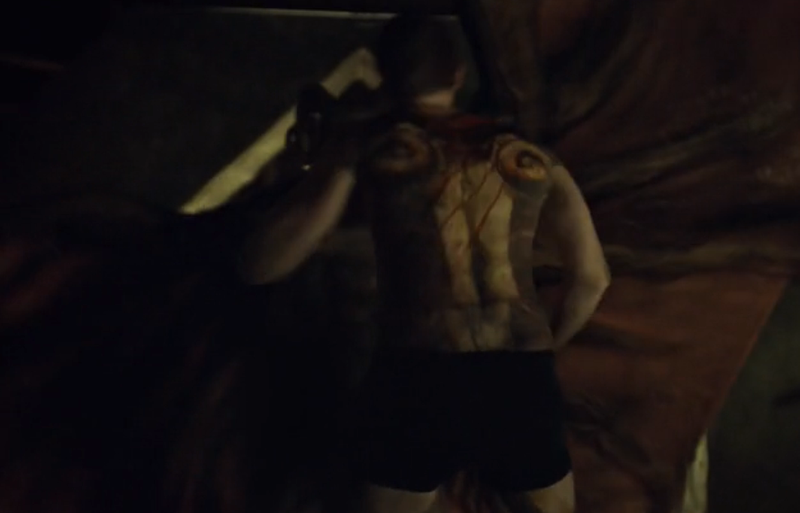 Mostly I think it’s intended to be the Red Dragon, but I thought it was also reminiscent of that angel-like look the blood eagle attains; it has that essence of transformation, which the Red Dragon encompassed, as well. Either way – fantastic visual! 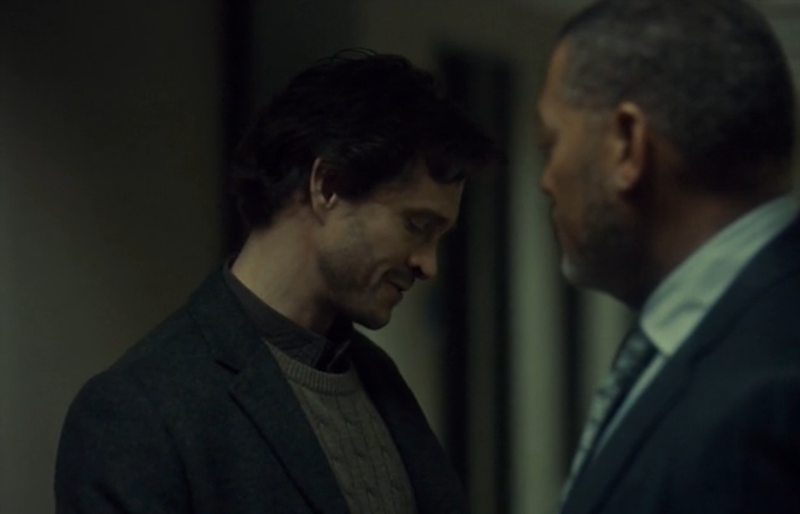 I find it another great twist on the part of Fuller to have Will Graham suggest to Crawford, instead of the opposite, that it might be best for him to go see Hannibal – “before I’m driven to it through desperation,” Will tells Jack. 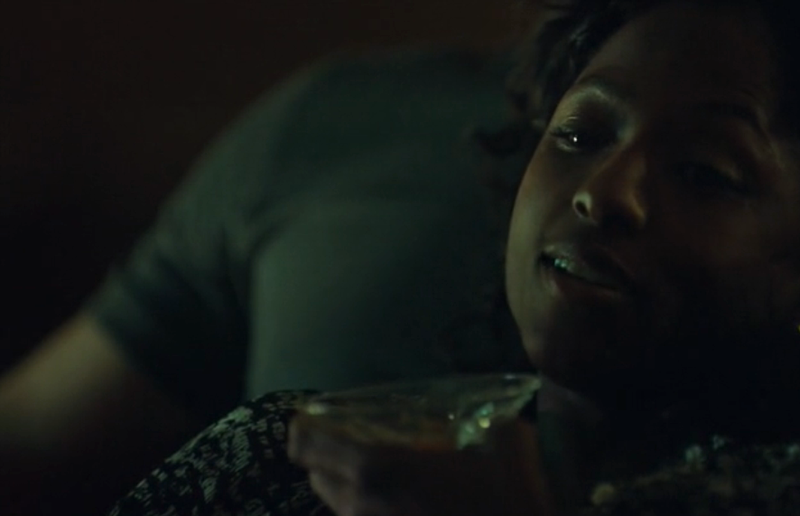 Not only is it fun to switch things up, this serves a great purpose: we see how addicted to that sick relationship with Lecter he truly is, we see the sickness of Will’s inability to let go by him going back. 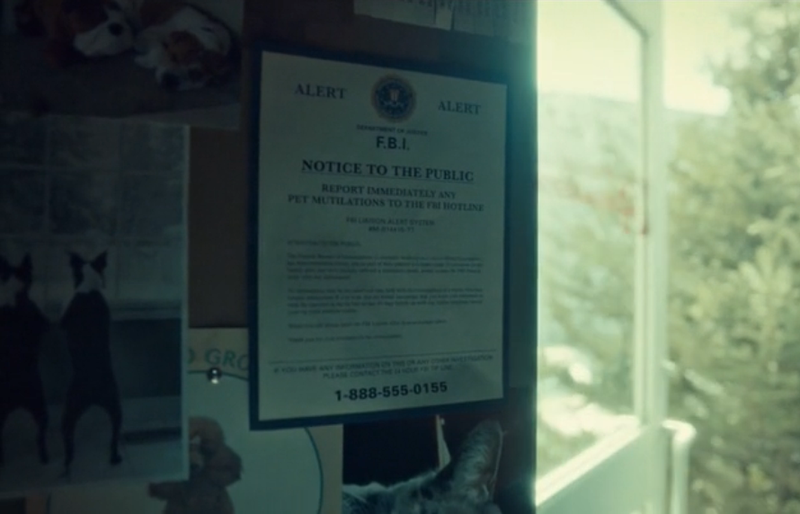 He doesn’t actually have to, he is capable somehow on his own, but there’s a part of Will that never wanted to let Hannibal out of his life. Good form, Fuller. Good form! The end of the episode was classic, as we see Will and Hannibal come together, face to face for the first time now in three years. It’s a perfect moment while they greet one another and then cut to black. 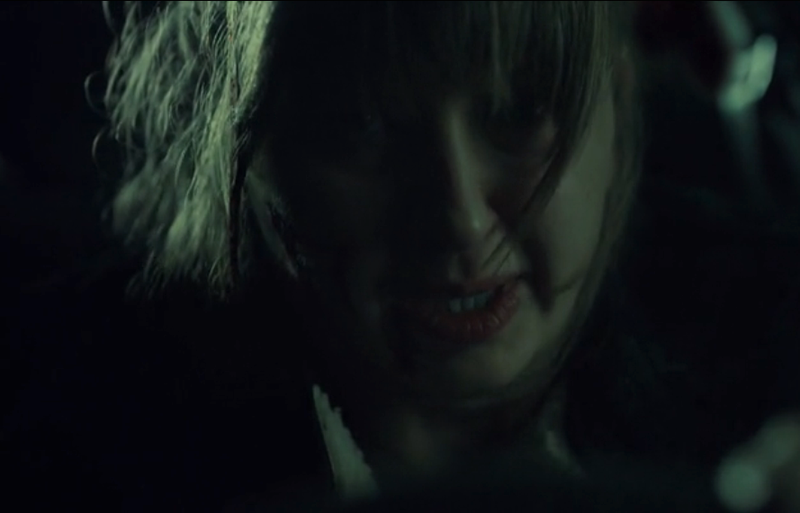 Neil Marshall – a fantastic director in his own right – does well at the helm of Hannibal‘s latest episode. 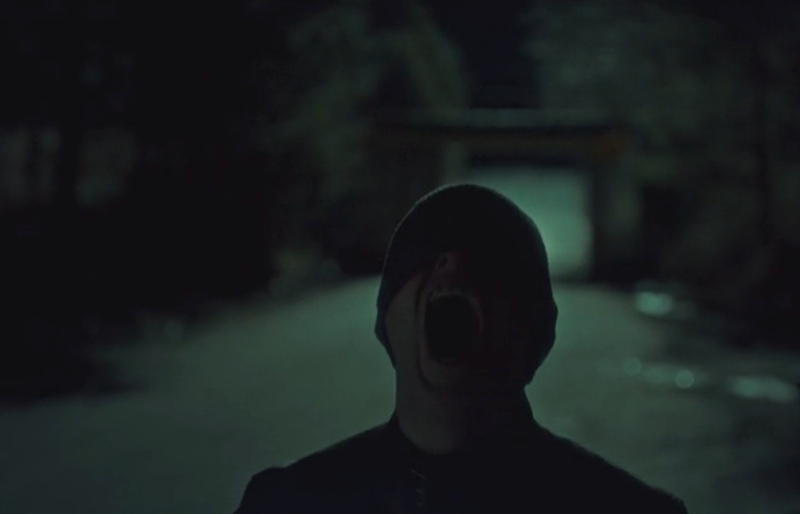 He goes for some wild visuals, but does not go as deep and out-there as some of the other episodes of the series, and certainly some of the earlier episodes of this freaky new season. 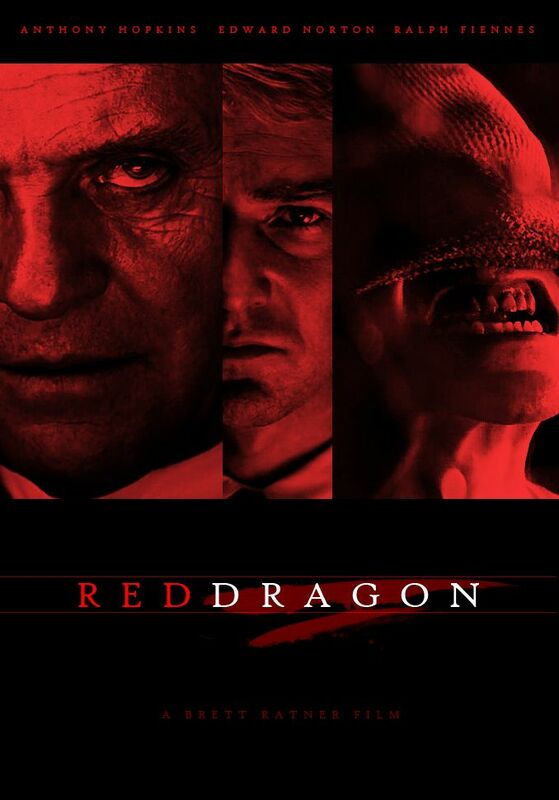 I can’t wait to see more now that Armitage is in the mix playing Dolarhyde. Getting really interesting. 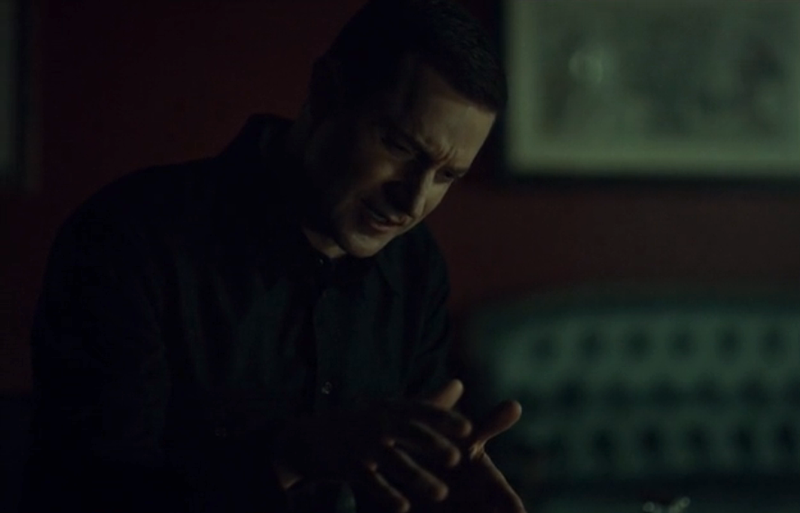 I love the duality between Hannibal and Dolarhyde which is being set up. Hannibal has always been the villain, but I think we’re about to see him in a much more evil, malevolent light than ever before. 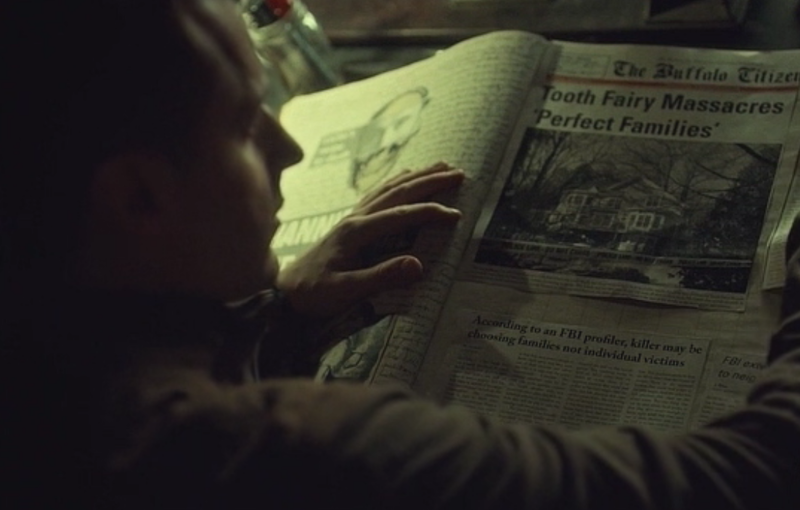 Awesome scene goes from Hannibal collecting clippings about the Tooth Fairy, to Dolarhyde collecting his own scrapbook of Hannibal the Cannibal clippings. Super creepshow stuff! Stay tuned, I’ll be back every week reviewing each episode. Next one is titled “…And the Woman Clothed with the Sun”. For now since this has been sadly cancelled, forge ahead with me as we unfortunately say goodbye TO THE GREATEST SHOW ON TELEVISION RIGHT NOW!